The Italian Chamber of Commerce, the Italian Cultural Institute in Hong Kong and f22 foto space are excited to invite you to participate to one of the most delicious events included in the Bellissima Italia programme: tiramisu preparation and tasting followed by a presentation of Italian coffee tradition. F22 foto space offers a guided tour of the exhibition Gold painted signs by renowned photographer Simon Go (exhibition from 22 November 2017 to 6 January 2018). Chef Mauro Marra will demonstrate to our audience of tiramisu lovers how a traditional tiramisu is made; a tasting will follow the demonstration. Two of the most important ingredients of a proper tiramisu are coffee and ladyfinger biscuits. 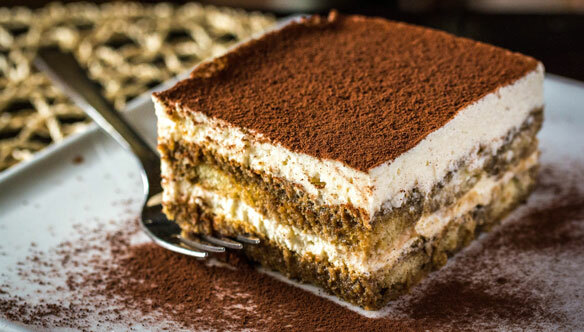 Gratefully, Lavazza coffee and Vicenzi ladyfinger biscuits will be provided to create the most exotic tiramisu. The demonstration class will be followed by a presentation about the history of coffee and its tradition in Italy held by Ms. Lia Campiglio. The audience can also view an ad hoc photography exhibition by Italian photographer Isabella Vacchi which focuses on coffee, its history and preparation. This event should not be missed by those ones with a sweet tooth! Mauro was born in Milan in the ‘60s during the economic boom. He fell in love with Italian art, culture and cuisine especially those of Brescia, Bergamo and the mountain valleys of Piedmont. The culinary tradition of those regions is made of genuine products, garden aromas, ancient wisdom, old flavors, time and passion. He started his career in famous restaurants in Milan and became Chef of “Victory” (Milan), proposing a menu focused on recipes of the Italian tradition. Since 2014 he has collaborated with a Food & Beverage company which aims to bring the excellence and quality of Italian products to the world.